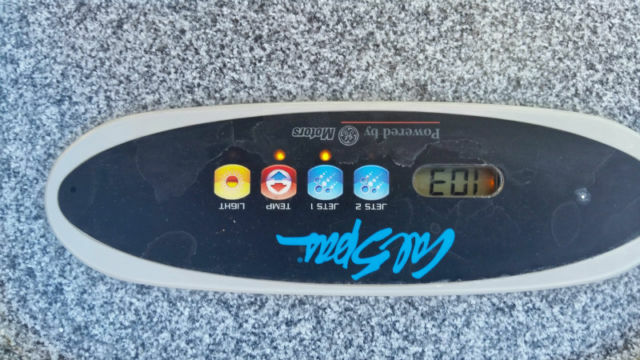 Buying a Used Hot Tub? 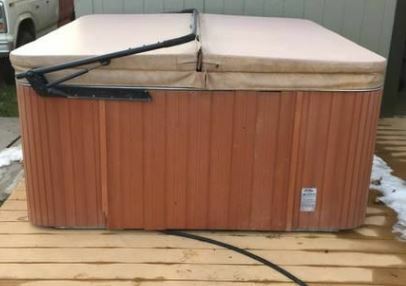 Buying a used hot tub? Just like cars, hot tubs are a big ticket item that can last for 20 years or longer. That is why there is a secondary market for those looking to trade in or trade up. Just like cars, it may be safer to buy a hot tub from a dealer who has done some inspecting / repairs and who has a good reputation to protect. You may be able to get a limited warranty or delivery of the spa when you buy from a dealer. 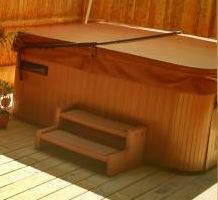 However, there are also some good deals from spa owners who are selling their hot tubs locally, as long as you know what to look for. Unless you are a technician or spa expert, you probably won’t know what to look for when inspecting a used spa. Much like a car, a hot tub has many components. Some are very expensive to fix or replace. Some are regular maintenance items – like filters - that are the equivalent of wiper blades in that they need to be changed once a year. You could hire a local spa tech to check out the spa you are considering purchasing and have them run a systems check. Consider it part of the cost of buying a spa – much like you the way you pay for a home inspection to protect your purchase. Never buy a spa that is not filled and running. You will need to make sure the main spa pack and topside controls work, as do all the pumps, heater, jets, lights, etc. If repairs are necessary, make sure the price reflects the repair cost including labor. 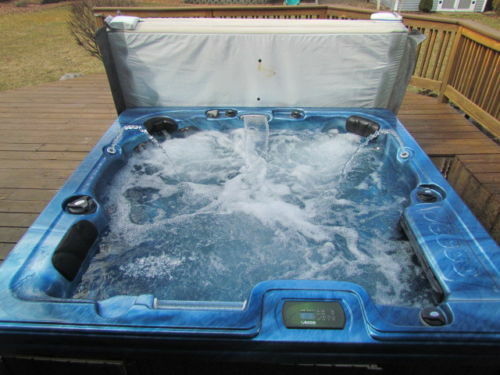 It is best to make a list of things that need to be replaced and call us at Hot Tub Outpost before you purchase, to make sure you will be able to get everything you need to keep the hot tub running. We also offer great deals on factory direct spas, should you decide the DIY route is not for you. Ask for the brand of spa and date of manufacture. Keep in mind that older spas may need more work and that some parts or equipment may no longer be available. Over the past two decades, several spa manufacturers have gone under. 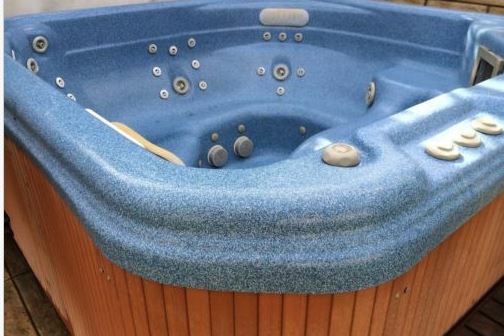 While most hot tub components come from the major jet, pillow or equipment manufacturers, some items may be discontinued or may have been proprietary to that brand of spa. In that case, spa repairs or work-arounds may become very expensive since you may need to completely change or update systems. One component that can be pricey is a spa cover. You will want to make sure the cover does not have water damage, isn’t sagging, musty or has holes. Count on about $400 for a new one – although you may want to upgrade to a thicker cover if you live in a northern climate. Spa cabinets are also expensive and difficult to replace. Spa pumps should not make any thumping or rattling noises. Check if the equipment is original or if it has been replaced. Was it replaced with a high quality equivalent? Do the topside control buttons all work? Make sure the LED screen is readable and that it does not show any error codes. Check for any water leaks under the spa. Is the water heated? Are there any holes where the jet inserts should be? 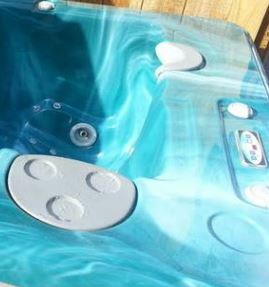 Used spas generally sell for 50% or less than the purchase price, but the older it is – the lower the price should be. Ask for any original paperwork and look for the manufacturer label (with spa serial number) inside the cabinet. Try to get delivery included when you purchase a spa from a dealer. Remember that you will usually have to pick up the spa yourself when you buy privately, so figure that cost into your calculation. Make sure that you can access the spa, allow it to drain and have a big enough trailer (and strong people) to get it to your home. You will also need to prep your home with a properly installed electric connection (usually 230V) and a prepared flat surface. Once you get the spa home, you will want to get it hooked up, fill it up and then clean it out. Make note of any spa replacement parts you need. You will also need to clean the spa and treat the water. We recommend a hot tub cleaner like Ahh-some that can clean the plumbing lines and jets from pollutants and biofilms. The procedure is pretty simple: Remove your spa filter and pillows and add the Ahh-Some to the water. Leave the treated water overnight for best results. Put the pump on high speed to push the treated water through all the plumbing. You will see planktonic biofilm and scum bubbles appear – it won’t be pretty! Drain the spa, remove what is left with a wet/dry vac or pool skimmer and a sponge. Wipe the walls clean, refill the spa and replace your pillows. You will want to get a new filter to put in once you have cleaned out your lines and jets. You will also need a sanitizer, either bromine or chlorine, to keep the water safe. It is important to learn how to maintain your water to keep your family and your equipment safe going forward. See our handy spa water care guide. There is a big market for used spas and some good deals to be had, but do your homework before you buy. Hot Tub Outpost is here to help you get the parts you need, as well as the water treatment products, covers and filters. Please note that we do not sell used hot tub parts – only new and factory authorized equipment and accessories.